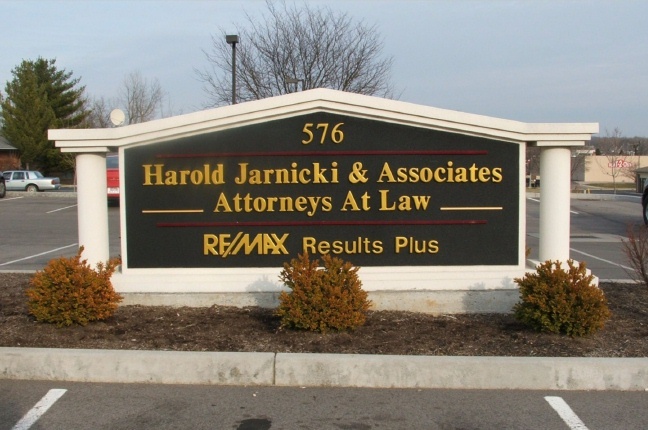 This classic looking monument sign base with pillars for a law office is made from EPS. We install our signs , in this case cut-out HDU letters, on a substrate attached to the monument. For other monument styles see Product Line 6.